Are You A Woman Looking for the Best Odor Resistant Leggings? Home 2018 Back-to-School Collection Are You A Woman Looking for the Best Odor Resistant Leggings? Woman’s health is determined not only by the food and supplements alone. The quality of relationships she’s surrounded with, air she breaths, water she drinks – these are some of other significant variables that make their way into a complex equation of a woman’s health. Modern technology allows to incorporate health benefits in our clothes these days. One of the growing areas in fashion and trend is odor resistant leggings and clothes. 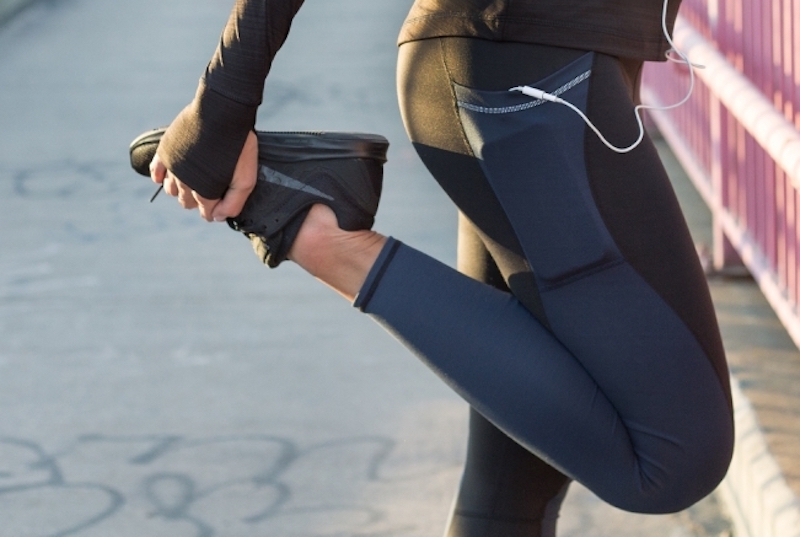 FACT: Your leggings contain up to a billion bacteria cells after just one week! What do you do with your clothes? You wash them. How about eliminating bacteria growth and preventing the unpleasant smell on your leggings? Brüt Force leggings kill 99.9% of all odor-causing bacteria using advanced silver technology that never washes out. To give you a more well-rounded idea what these odor resistant leggings for women can do and how the technology works, here’s a quick guide through it all. What Is Anti Odor Technology? And how does the silver technology work inside the fabric? Anti odor technology has been created in some form variations. The majority of these technologies include silver as their agent to kill bacteria and stop unpleasant smell from spreading and persisting in clothing. In Brut odor resistant leggings, Argent flex Technology harnesses the power of silver to inhibit the growth of bacteria that leads to human-based odor. Silver interrupts the bacteria cell’s ability to form the chemical bonds essential to its survival. These bonds produce the physical structure of the bacteria, so when bacteria meets silver it literally stops them from reproducing and finally kills the bacteria. Argent Flex’s silver fibers eliminates close to 99.9% of odor causing bacteria, ensuring your garment stays fresh and odor free. Does the Silver Wash Out With Time? Silver technology is weaved into the fabric. It is not a chemical treatment, so it will never wash out. You can stay confident that your leggings will maintain the same odor fighting qualities throughout their product life. Is it Borrowed from Someone Else? I wanted to know if the silver technology in the Brut Force leggings is proprietary. Yes, it is! This anti odor fabric is trademarked and is the first stretch fabric that has silver thread weaved into it as an anti-odor technology. How Durable are Brut Force Leggings for Women? The fabric was constructed so that is does not pill. After the wash, it comes out looking like new. The Lycra was added instead of spandex because it increases the rebound from stretching, and the company wanted to meet the standards for sport Lycra (certified for it). The design as far as stitching took into account female anatomy and movement. A half-moon gusset allows for greater movement. As you may not know one interesting fact, such gussets are designed into a dancer’s clothes and costumes to give the freedom of movement during performances and strenuous training sessions. Basically, the fabric texture allows it to move with the dancer and focus on the movement, rather than on the fabric constricting those movements. Are These Truly the First Leggings with Silver Technology? Brüt Force leggings have 45% silver, brands don’t usually advertise how much silver they implement in their fabric. But 45% is much more that what other brands implement. Yes it is the only one with silver and Lycra. Would you like to own a pair of some of the best anti odor pair of leggings on the market? Enter this giveaway for your chance to win a pair of Brüt Force leggings to celebrate your femininity and accommodate your lifestyle needs. Did I tell you that the leggings are made of liquid repellent fabric? That means you can easily avoid sweat stains and brush any spilled juice or coffee off without draining in it! • Each pair of leggings is equipped with an elastic band around the waist. You can adjust it to your comfort zone. • There’s a back zipper pocket for keys, phones, rings, credit cards – small things you need when on the go and exercising. • These leggings are designed to provide a complete blackout, not-see-through, quality. • Even when you are working hard in these leggings, they provide a good temperature control by wicking away sweat. • Are these leggings sustainable? Oh, yes, as you will need less frequent washes in between uses: saves water and energy usage. Love Playing Games In Your Family? Win Winning Moves Board Games! What a great pair of leggings these are, I really like that they have a pocket on the side but they really do look comfortable to wear. I don’t really have any special leggings. I usually wear loose shorts. I’m looking for the perfect outfit for activities. I don’t have a specific brand of work out gear, just whatever is convenient. I wear Capri leggings and a t-shirt. I would probably wearing leggings all the time if I could! I normally wear sweats or other loose or stretchy pants, and a T-shirt. I don’t wear leggings unless I’m wearing a shirt long enough to cover my behind. I don’t have anything special – just regular yoga pants or joggers. I seem to wear leggings for everything these days, but when I’m active I like to pair them with a super lightweight tank. I wear regular shorts and a t-shirt. I like to wear leggings and a comfortable t shirt when I work out. I do dance, zumba and barre workouts so I need long leggings that have water wicking material. When I first started working out, there were only boot cut yoga pants available and those would get in the way. I wear stretch pants, and a tank top when I workout. In the warmer months I wear shorts and loose fitting t-shirts and in the winter I change out the shorts and great fitting leggings that have to hold up during my workouts. I like tight fitting clothes when I workout. I usually like wearing capri leggings. I wear leggings and dri-fit type jackets. I dont have special leggings, but I do make sure I wear them because they’re so comfortable. I usually wear leggings and tank tops, my favorite pair of leggings so far are from fabeletics. I do have some special leggings. I usually wear yoga pants and a tank top when I exercise. Leggings or shorts depending on the time of year. I don’t have any leggings. I usually wear sweat pants or shorts. I wear capri leggings form a couple different brands. I mostly care that they’re comfortable and have a pocket for a key. I wear loose yoga pants and a moisture wicking t-shirt in the summer. Leggings and t-shirt in the winter. I wear running leggings and a tshirt. I wear leggings and tank tops most of the time when I run on the treadmill at the gym. My wife would appreciate leggings like these, thanks! I wear yoga pants, leggings, or yoga capris with a t to work out. I usually wear shorts and sleeveless shirts when I exercise. I use yoga paints and workout tees. I usually wear Old Navy leggings and a tank. I like to wear leggings when being active or just kicking about. Honestly, if I am going to get sweaty I wear some of my least favorite ones. leggings and sweats work great for me. I prefer sweatpants and t-shirt. I wear leggings quite often especially since I’m usually outside in the garden and doing chores. I haven’t found those leggings I can’t live without but these sounds amazing! All I wear are leggings. Whether I am running errands, working out, attending a get together, kids sports, you name it. I look for comfort and durability! I like to wear Capri exercise pants with a t shirt for exercising at the gym. I wear leggings to work out when it gets too chilly out for shorts! I have these old navy ones that I love! i wear workout leggings when i workout with a sports bra and a tank top. i love the support that those leggings give me. I usually wear leggings or shorts. I’m still searching for a holy grail pair though! I always wear leggings if I am going to workout or go for a walk. It is just more comfortable. i wear leggings joggers and yoga pants as a stay at home mom this is my uniform lol! For the gym, I wear either leggings or yoga pants. For running, I like compression tights. I love the look of these Brut Force leggings!! Honestly, I am always in leggings unless I have to meet clients for work. On a super cold day, I may throw on sweats but not too often. I love the comfort of leggings. Even though I am most comfortable in baggy clothes, when I work out, I need tighter clothes so they don’t get caught on anything. I wear leggings, yoga pants, or sweatpants and t-shirts or hoodies. I wear shorts, a sports bra and a tee. I tend to wear sweatpants in rhe cold weather and shorts in the warmer weather when I am exercising or any other activities. I usually wear sweatpants and a tee. I wear a tank top and Capri leggings when I workout. Usually leggings and a tank top. I wear yoga pants and tshirts to work out. I also wear them to clean the house and for homeschooling! I just started going to the gym. These pants look great! I wear black yoga pants (no design, see through parts, or capri style) often because they are so comfortable and can look business casual at work. I would use the leggings for non-work wear. Thanks! Yoga pants seem most comfortable for me. I’ve tried others but I seem to go back to yoga pants. I wear a tee and sweatpants, most often. I usually wear jogger pants for my activity. I would love to get a quality pair of leggings for working out. I wear inexpensive leggings that I get from the drug store; since they wear out fairly quickly I don’t want to spend a lot. I usually wear yoga pants and a active top when I workout. I usually wear a tank top or Tee shirt with sweatpants when working out. I wear shorts and a tee. I think the leggings would work better. These will help me look good while trying to be productive at my exercise! I wear leggings or at least something easy to move in. I wear Nirlon yoga pants. Living in HOT coastal Florida. Shorts only! And, workouts generally at night. I always wear leggings and tee shirts. That is what s most comfortable.. I usually wear a quick dry tank top and leggings. Currently I usually wear Avia capri leggings or C9 Champion full length leggings, almost always in black, to workout. I need more variety. I like capri-length leggings for my workouts. Sometimes I wear them outside of the house, but not too often. I do like it when they have fun patterns! My daughter is the one who told me about wearing leggings when I exercise with her. I do not wear them out and about to other places though. That reminds me too much of the women around here that go to the grocery store in their pajama’s. I think that is just being lazy. I share with you a “no PJ to the store” clothes. But I do have nice leggings, like this pair, to get me dressed up and ready to go out to run errands and all my events with kids. I have several pairs for such things. My “branded” look is a sporty mom who’s always on-the-go. I cannot imagine my life without a nice pair of leggings. I like to work out in leggings in the fall/winter and shirts in the summer accompanied by an weather appropriate too. These sound amazing! I typically wear leggings when I workout unless I run, then I wear shorts. I love leggings and T-shirts! I usually wear workout leggings while exercising. These ones sound interesting because of the odor-blocking technology, from which I could definitely benefit during my long walks! I love to wear leggings and a t-shirt. I like leggings or shorts! Depends on the specific activity but comfy shorts or tights and a tank top. I can’t work out when I feel uncomfortable/restricted. I have never wore leggings while exercising. I usually wear a tanktop with shorts. Comfort is the biggest issue for me so I wear leggings, or shorts and generally a t shirt. These are very comfortable leggings. I wear them for my workouts and also to do my yoga in the mornings. I tend to run errands in them as well. They wear well and do look like new after I wash them. I usually wear compression leggings and a workout tank when I am going to be active! Even when i’m not being active I usually wear these clothes just to be comfortable! My best workout clothes are Activewear. I also wear leggings or bike shorts under dresses and skirts, so preventing embarrassing moments. Atop that allows for unrestricted movement of my arms is also good along with sweat absorbing fabrics and socks.